AppleStoZen: Brain Food for Brain Health! Most people have no idea how much these common foods can indeed harm the brain, both in impaired memory and diminished learning ability. The wrong drink and food choices if ingested throughout your life can even lead to many brain conditions from attention deficit syndrome to the life changing disease of Alzheimer's. As more and more baby boomers find the need take care of their aging parents they don't even stop to think that they may be next. Lifestyle changes can alter the course of our overall health but it is very easy to get trapped into the “quick fix” mentality. It's long overdue for our society to stop the the outside in, sickness care so-called “health” delivery system. We need to start taking daily accountability for our actions to prevent future illness before it’s too late. Even in our 20s, 30s, 40s and 50s, the daily food choices we make can change the course of our future Health and Vitality. 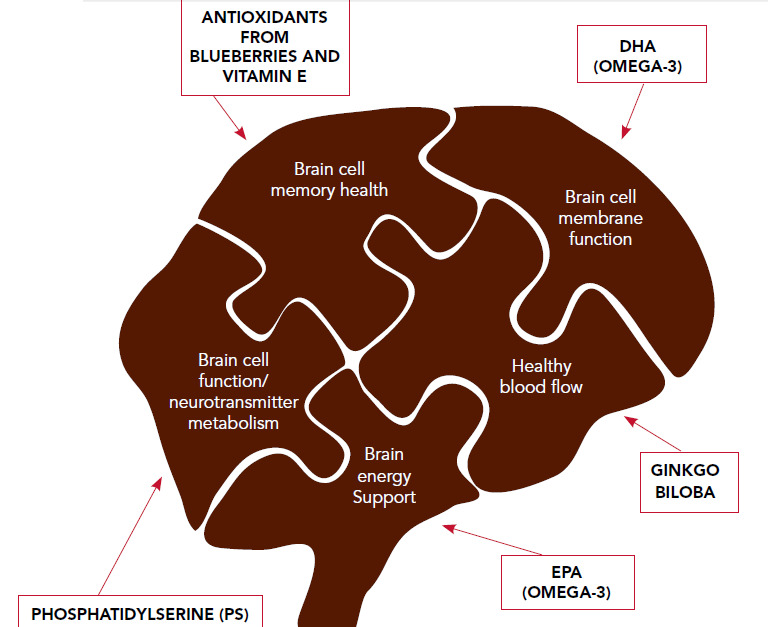 What's the # 1 food that harms the brain? According to a 2012 UCLA study published in the Journal of Physiology, high fructose corn syrup consumption was at the top of the list for producing damage over time to the memory and learning centers of the brain. Potential brain damage isn’t the only problem a high fructose diet creates; it is also a direct cause of insulin resistance which is now being seen in a sudden rise in diabetes in adolescents. High fructose corn syrup has also been shown to affect blood fat levels that cause higher cholesterol and lead to plaque formation in the arteries. The outcome of a high fructose corn syrup diet = impaired learning and memory, and increased chance of developing diabetes or heart disease. Recently I was riding through the park in my neighborhood and as I passed I saw a family having a picnic celebration, what caught my attention was a mother upset with her 5 year old son for feeding their dog a coke and some Doritos. It made me cringe as she was screaming at him saying "don't feed the dog coke and Doritos it will make him sick!” I thought to myself… “WOW what does she think this food is doing to her child!! ?” We MUST each take accountability and become more conscious of our health and well being. The future sickness care costs for the standard American family will bankrupt us if we don’t change our habits and continue down this current path. The external sign of physiological stress is extra belly fat, the body stores the deadly yellow fat as a result of increased toxicity. So yeah ….let's have another can of soda or large bowl of ice cream!! High fructose corn syrup is used as a preservative and sweetener in almost anything in a package (bag, can, container, etc.). The typical person that eats the western diet of processed foods consumes large quantities of high fructose corn syrup in items such as: sweetened drinks, cakes, ice cream, cookies, salad dressings, orange juice, cereal, breads, chips and even condiments like ketchup. Even the so called “sport drinks” and bottled teas marked as healthy can have large amounts of crystalline fructose that is equally as bad for the brain and body. All of these high fructose products can easily be avoided by using mindful eating habits. Being conscious of everything that passes your lips helps alleviate what I call "oral amnesia"! Just imagine at the end of the day putting everything you ate into a bowl, and in that bowl you could see your entire consumption of foods and liquids. What would that look like? This is what your body becomes! Choose right! Some of the best ways to prevent the over consumption of these harmful chemicals is to control your ingredients and make your meals at home. If you are buying boxed food or eating out read labels and KNOW your ingredients. For example making a salad dressing with olive oil, apple cider or balsamic vinegar, and spices greatly reduces high fructose corn syrup consumption and excess fats. Americans drink almost 50% of their daily calories from sodas and juices; make a conscious choice to drink unsweetened ice tea or water with lemon instead of canned or bottled drinks. Artificial sweeteners also increase cravings for more sweets leading to many health problems.If you use a lot of ketchup cut back on the quantity or buy a new one, there is plenty of all natural low sugar ketchup's on the market read your label Also, opt for mustard or low sodium all natural hot sauce instead of traditional ketchup or BBQ sauces. Eat naturally. Natural whole fruits do contain fructose but in MUCH smaller amounts than a sweetened drink. The whole fruit also contains antioxidants, fiber and phytochemicals that are actually great for brain health. Lemons and limes contain almost ZERO fructose and and have been shown to control blood sugar. Arm yourself with knowledge. High fructose is not the only harmful food for the brain and overall health and wellness. There are several other foods that also harm the brain if consumed regularly and can be detrimental to YOUR overall health. Tran’s fat is oil that is chemically altered and is used widely as a preservative or for cooking. These oils are cause an inflammatory response in your entire body and have been shown to damage cell membranes. I recommend avoiding hydrogenated or partially hydrogenated oils along with deep fried foods. Inflammation in the body leads to Alzheimer's, attention deficit and even dementia if left unchecked. Studies show that even trace amounts of mercury have devastating affects on the health of the brain and nervous system.These can get into the body through air and water pollutants from coal burning plants. Mercury is also used in several inoculations such as the flu shot. Eating fish high on the food chain such as tuna, shark, swordfish or bottom feeders such as shellfish can lead to mercury accumulation. I recommend limiting these type of fish to 1-2 times a month and focus more on non-farmed trout, salmon or smaller fish to reduce mercury ingestion. Dr. William Davis wrote a thought provoking book called "Wheat belly.” In this book he lays out the groundwork to the addictive qualities of wheat on the brain. He explains how wheat products have been genetically modified the past 20-30 years and contains compounds called "exorphins" that have the same effect on the brain as opiate drugs and is highly addictive. This compound helps to explain why people have such a difficult time giving up their beloved pastas, breads, cereals, muffins and bagels. Another result of addictive wheat products is after a big dinner you may find yourself with an intense craving for more carb type foods or even sweets, we call this a PASTA COMA. I have found if I pass on the bread and pasta and eat more meat and veggies I feel totally satisfied without the sweet cravings. There are plenty of herbs, super foods and spices that help protect the brain and prevent health problems. 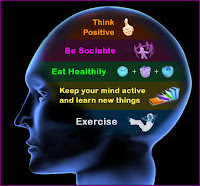 In my opinion, there are several MUST do’s to take better care of the function and ability of YOUR brain. #1: Supplement Omega 3 oils daily. Omega 3 fish oils are best if they are pharmaceutical grade from small cold water non farmed fish. Almost everyone can benefit from supplementing omega 3 oils. They reduce the inflammatory and oxidation processes of aging, and promote healthier processes of the body. Also they have a major effect on pregnancies, pediatric development and neurological growth. If that wasn’t enough they benefit better heart function, joint health and even weight management. If taking blood thinners such as Coumadin make sure to consult with your physician first before starting an Omega regiment. #2: Add the spice Turmeric to your cooking. This spice is one of the most powerful antioxidants and has the highest brain health protective properties of any spice on the planet. In India they have the lowest incidence of Alzheimer's where most of the meals contain curry which contains natural turmeric. Buy your spices fresh instead of prepackaged to get their full effect! #3 Berries are a “No-Brainer” to eat on a daily basis (no pun intended). Make sure that they are organic or washed properly to remove any potential pesticides. Rinsing berries in a natural solution of lemon and water for 10-20 minutes will help to remove any unwanted particles that attach during the growing process. If we all just STOPPED and really set up our lives to eat healthier on a regular and consistent basis, our future health would improve. Take Action: I recommend that for the next 7 days you keep a food diary of EVERYTHING you consume. This is this first step to alleviating "ORAL AMNESIA" and waking up to a healthier tomorrow.